Israeli media reports that Moscow and Tel Aviv have reached an agreement on the withdrawal of Iranian-led forces from southern Syria have caused a stir in Iran. “Has Russia taken Israel’s side?” wrote Ensaf News. The outlet argued that Russia seeks to emerge as the most influential external player in post-ISIS Syria; and as a result, it will be willing to strike deals over Syria with the U.S., Israel and even Iran’s regional rivals such as Saudi Arabia at the expense of Iranian interests. Ensaf stressed that Russia cannot ignore Iran’s influence in Syria, but cautioned that Moscow might “betray Iran’s trust” as it had done in the past – citing Moscow’s support for international sanctions against Iran before the 2015 nuclear deal. An article in daily Etemaad echoed a similar view, adding that latest Israeli strikes against Iranian targets inside Syria would not have been possible without prior coordination between Tel Aviv and Moscow. In contrast, news agencies affiliated with the Islamic Revolution Guards Corps (IRGC) tried to downplay the reports. Tasnim News Agency, for example, wrote that the deployment of Syrian government forces to the south would be a victory for Iran and its allies because Damascus is part of the “axis of resistance”. Another article in Tasnim reported that the Syrian Army is preparing to launch a major offensive in southern regions. It also opined that Washington may propose to Moscow that American troops will leave the al-Tanf base in southeastern Syria and relocate Syrian opposition forces stationed there to northern Syria in return for guarantees from Moscow to prevent Iran from access to al-Tanf and other southern areas. Comment: With the Assad regime consolidating its power, Russia seeks to broker a political settlement with the remaining moderate Syrian opposition forces to end the conflict and secure its interests in Syria. Therefore, it comes as no surprise that Moscow is worried about the latest escalation between Iran and Israel in Syria, which may weaken the Syrian regime and jeopardize Russia’s gains. 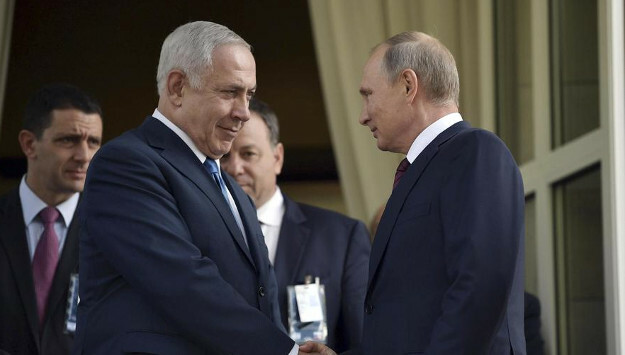 But while Russian President Vladimir Putin may have pledged to Israeli Prime Minister Benjamin Netanyahu during their latest meeting that he would get Iran to withdraw its forces from southern Syria, Putin’s ability to deliver on that promise is questionable. The Russian military does not control Iranian-led forces in Syria and Iranian forces have on several occasions violated de-escalation agreements agreed upon between Russia and other regional and international powers. Nor has Russia, despite its repeated promises, prevented the Assad regime from using chemical weapons in recent years. It is worth noting that when Putin recently called for the exit of all foreign troops after the start of intra-Syrian peace process, Tehran swiftly rejected the call. “No one can force Iran to do anything. Iran is an independent country, which determines its own policies. Iran’s presence is based on the Syrian government’s invitation, and its objective is to fight terrorism and defend Syria’s territorial integrity,” Foreign Ministry Spokesman Bahram Qassemi said at a press briefing in Tehran. “And as long as the Syrian government wants, Iran will continue to assist the country. Those have entered Syria without the Syrian government’s permission should leave,” Qassemi added. Putin made the remarks during a meeting with Syrian President Bashar al-Assad in Sochi. While Putin did not specifically name Iran, Alexander Lavrentiev, the Russian president’s envoy for Syria, said later that Putin’s comment also included Iranian and Lebanese Hezbollah forces. What may add to Tehran’s worries is that Putin made the statement just days after Netanyahu met with the Russian leader in Moscow. Following Putin’s comments, Iranian media expressed the worry about Russia’s multi-front diplomatic efforts aimed at shaping the future of post-war Syria. Tehran has long been worried about a potential “grand bargain” between Moscow and Washington over Syria at the expense of Iran’s interests. Russia’s diplomatic engagement on the Syrian conflict with Iran’s regional rivals such as Israel and Saudi Arabia deeply troubles Iran as well. Russia and Iran have been cooperating closely in the Syrian conflict, but as the latest diplomatic frictions indicate, their vital interests and endgame strategy in Syria are not entirely the same. The Russian military intervention was instrumental in avoiding the fall of the Assad regime. But now that Damascus and its allies are in control of key population centers, Russia is apparently seeking to foster a political solution to end the conflict in Syria and preserve its gains there. Iran, however, is determined to keep its forces and militia allies in Syria to project power and expand its influence across the region. Iranian-backed militia forces have made it clear that they will use their presence in Syria to fight Israel next. But all this does not mean that the Moscow-Tehran cooperation in Syria will end anytime soon. Russia needs Iran’s cooperation in Syria as Iranian-led forces still control the battlefield in Syria from the ground. Former U.S. National Security Advisor Lt. Gen. H.R. McMaster said that “about 80 percent of Assad fighters are Iranian proxies.” Indeed, Iranian-led forces are playing a key role in providing security for Russian military personnel in its Syrian air and naval bases.